To add a new Slide to your presentation click the plus button on the right side of the editor. This button is highlighted in the screenshot below. Note that there is an identical button along the bottom edge of the editor, this button allows you to add vertical slides. 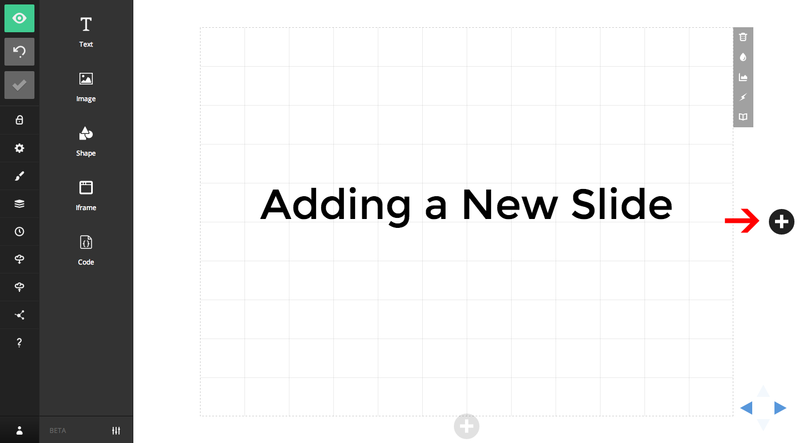 After you've clicked either button you will get to choose a slide template to insert.